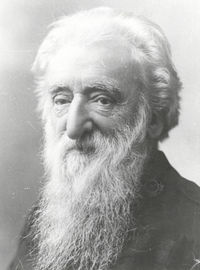 The Salvation Army founder, William Booth was born in Nottingham, England, on 10 April 1829. From his earliest years, William was no stranger to poverty. He was just 14 when his father died and was already working as a pawnbroker’s apprentice to supplement the family’s income. As a pawnbroker, William saw poverty and suffering on a daily basis. By the time he finished his six-year apprenticeship, he had developed a deep hatred of it. William, a fiery and impulsive teenager, became a Christian at 15 and began attending the local Wesleyan Chapel. There, he developed the passion that would be the driving force in his life; to reach the down and out of Britain's cities through the Gospel of Christ. William, a talented preacher from a young age, went on to work as a travelling evangelist with the Methodist church. But it was through preaching in the streets of London's slums that he discovered his life's purpose and The Salvation Army was born. 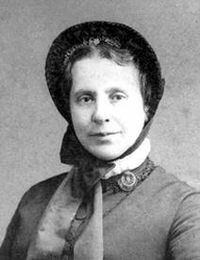 The Salvation Army "mother", Catherine Mumford was born in Ashbourne, Derbyshire, on 17 January 1829. From an early age, she was a serious and sensitive girl with a strong Christian upbringing. By the age of 12, it's said that she had read the Bible through eight times. At 14, Catherine became ill and spent a great deal of time in bed. She kept herself busy, especially concerned about the problems of alcohol. She wrote articles for a magazine, encouraging people not to drink. But at 16, she came wholly into her faith. Reading the words, 'My God I am Thine, what a comfort Divine' in her hymn book, she realised the truth of them for herself. A gentle woman with powerful appeal, Catherine would go on to co-found The Salvation Army and prove an inspiration to women in a harsh time. Catherine and William met when he came to preach at her church. They soon fell in love and became engaged. During their three-year engagement, William continued his work as a travelling evangelist. Catherine was a constant support to William, writing him letters of encouragement on his travels. They married on 16 June 1855. Together, William and Catherine embarked on a lifelong journey to answer the call of God to bring the Gospel to the people. While William was a natural speaker, Catherine was a quiet woman and not at all accustomed to speaking at gatherings. It took time for her to find her voice, but she was driven by a conviction that woman had the same rights as men to speak. She grew into a courageous speaker, known for her gentle manner but powerful appeal, counselling alcoholics in their homes and holding cottage meetings for new faithfuls. They were also parents to a growing family of eight children, who were brought up with a firm Christian education and a great love for their God’s mission. Two of their children, Bramwell and Evangeline would go on to be Generals of The Salvation Army. In 1865, William, by now an independent evangelist, along with Catherine founded The Christian Mission. William preached to the poor while Catherine spoke to the wealthy to gain support for their financially demanding work. In time, she began to hold her own fundraising campaigns. It was not until 1878 that The Christian Mission became known as The Salvation Army. Modelled after the military with William and his fellow ministers a part of God’s Army, seeking salvation for the masses. William was appointed the first General and his ministers became “officers”. Catherine became known as “The Army Mother” and remained a strong voice on The Salvation Army’s ideas on social issues and matters of belief. With its strong focus on the downtrodden and dispossessed, The Salvation Army began to grow beyond Britain’s borders. In William’s lifetime, the Army would be established in 58 countries and colonies. Its mission was and is still guided by William’s book “In Darkest England and the Way Out”, which maps out a revoluntionary approach to social engagement never before undertaken by a church. Both Catherine and William worked tirelessly to bring the Gospel to all, establishing a movement in the form of The Salvation Army. But, on 4th October 1890, Catherine lost her ongoing battle with ill health. Her son, Bramwell, described her passing as “a warrior laid down her sword to receive her crown”. William continued on for many years, traveling all over the world to oversee his growing Army. On 20th August 1912, William Booth was, in Salvation Army terms, promoted to glory. Though passed, both William and Catherine continue to be guiding influences in The Salvation Army and stand as the mightiest examples of how God uses the ordinary to create the extraordinary.